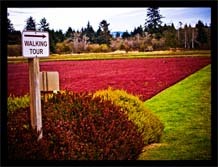 You are welcome to tour our farm and get a first-hand look at different varieties of cranberries, irrigation systems, and how crops are planted and cultivated. During October, visitors can also see the crop being harvested. 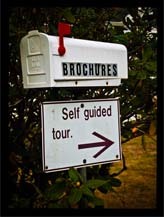 Group tours may be arranged by leaving a message at 360.642.5553 or by emailing info@cranberrymuseum.com.